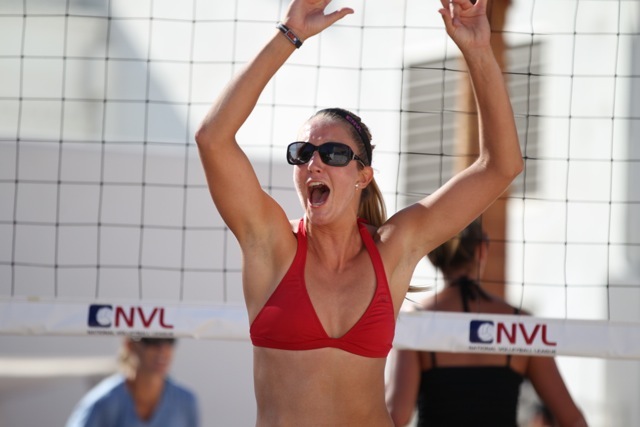 MILWAUKEE, Wisconsin (August 6, 2014) – The National Volleyball League (NVL) continues its founding tradition of partnering with existing lifestyle events to host its 4th pro stop of the 2014 season at the ABC Supply Co. Inc. Wisconsin 250 at Milwaukee IndyFest, August 16 – 17. The IndyFest tournament will feature many of the top pro beach players in the world competing for a prize purse of $25,000 on the racetrack infield with activities for the entire family. Musical artist Kelley James, the official voice of the NVL, will return to perform for fans on the main stage Saturday evening. Matches will kick off Friday, August 15 at New Berlin Ale House. The tournament will move to the IndyFest racetrack Saturday, August 16 and Sunday, August 17 where fans will have the opportunity to view competitions while enjoying the surrounding Verizon INDYCAR Fan Village. Tickets may be purchased here. Saturday, August 16 – WATCH LIVE @ 9AM ET! Sunday, August 17 – WATCH LIVE @ 8AM ET! The tournament will also be live streamed for fans on the NVL Network. Full NVL IndyFest event details can be found here.